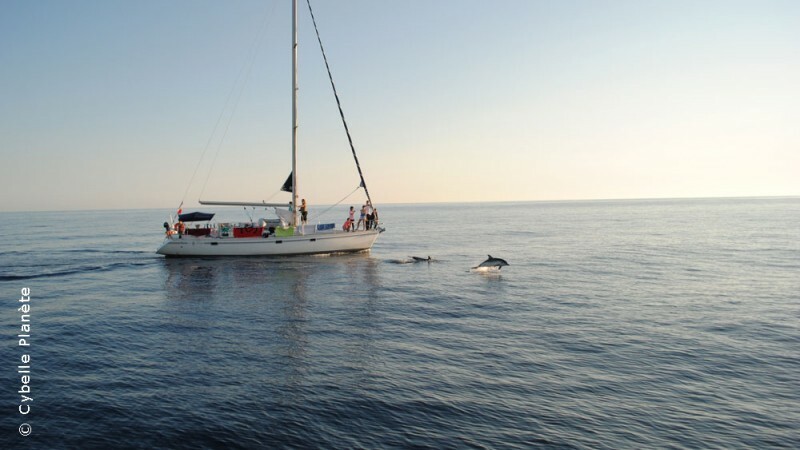 These sailing expeditions aim to study marine biodiversity in the wider Mediterranean Sea, in the Pelagos sanctuary for marine mammals. 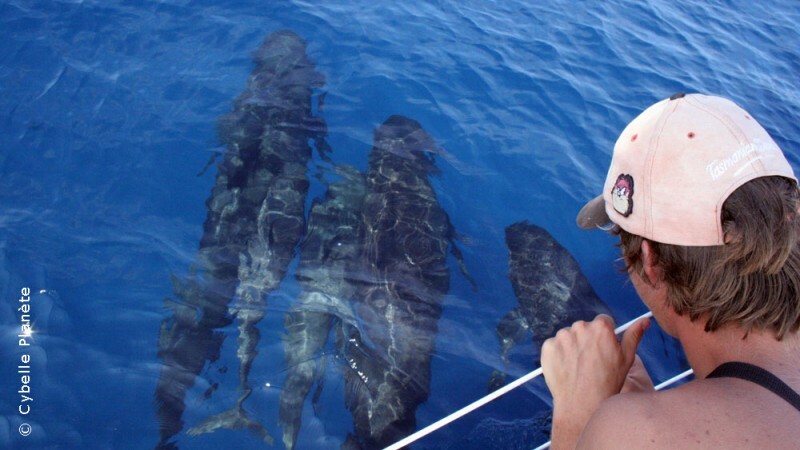 The crew lists and notes the observations of whales, dolphins, sea turtles and other animals living offshore. 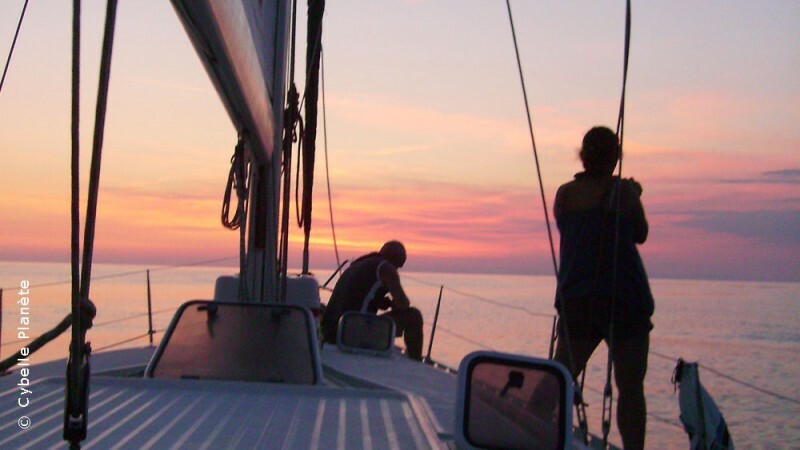 Shipments last 7 days, sailing, and are supervised by an eco-guide and skipper. No special skills are required to participate. 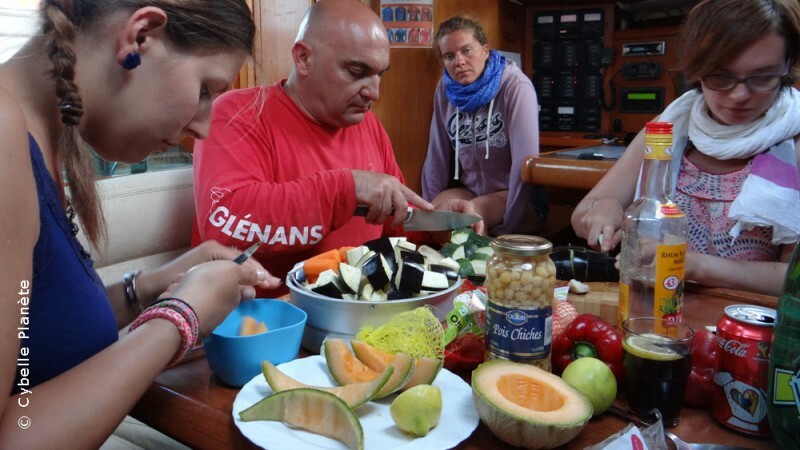 The ecovolunteers are supervised by an ecoguide and a chef de bord. The eco-guides all have a higher level of training in oceanology and have received training specific by Cybelle Planet. The entire crew participates in the collection of information at sea: behavioral observations, counting and data entry. 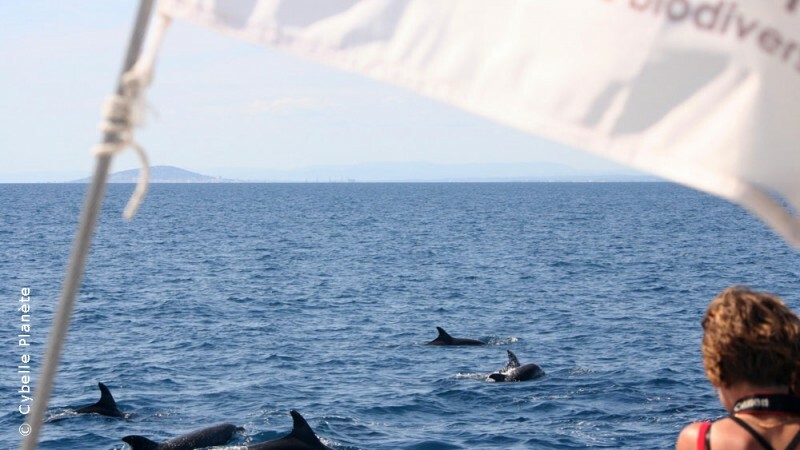 These expeditions for the study of cetaceans and biodiversity are organized in the Mediterranean Sea since 2005, an 100 of ecovolunteers participate every year! 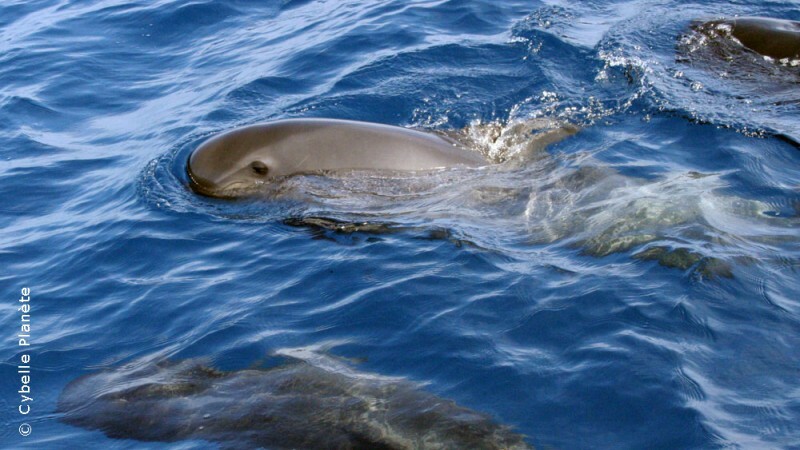 The Mediterranean Sea is rich in biodiversity, the study areas are all conducive to nice encounters with cetaceans, including bottlenose dolphins, sperm whales and fin, but also turtles, sea devils, sharks, fish .... The navigation program depends on weather conditions and scientific imperatives. Generally sailboat sailing from sunrise to sunset. One or more nights off are expected, the sailing ship will also stop a few nights near the coast, in coves. Scientific monitoring of animals living off the coast requires large financial and human resources (boat, crew, observers ..). Without the contribution of eco-volunteers nothing would be possible. Throughout these expeditions, information collected at sea are returned to databases and will be shared with the scientific community for free. 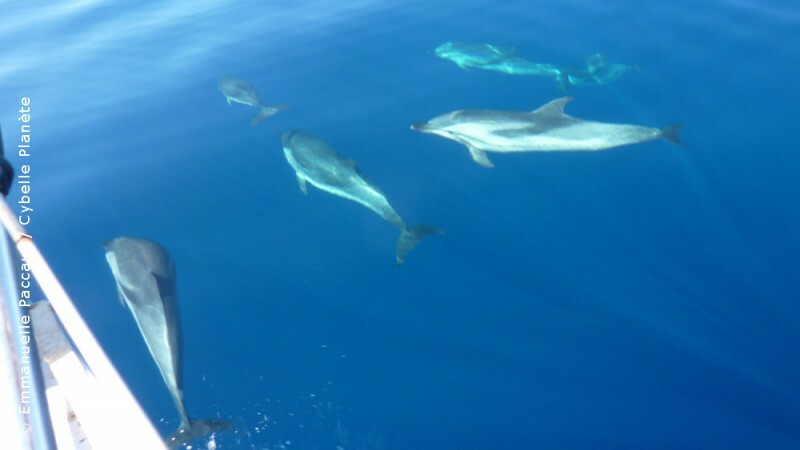 The objective is to contribute to research on cetaceans, the wide fauna, and pelagic ecosystems of the Mediterranean. 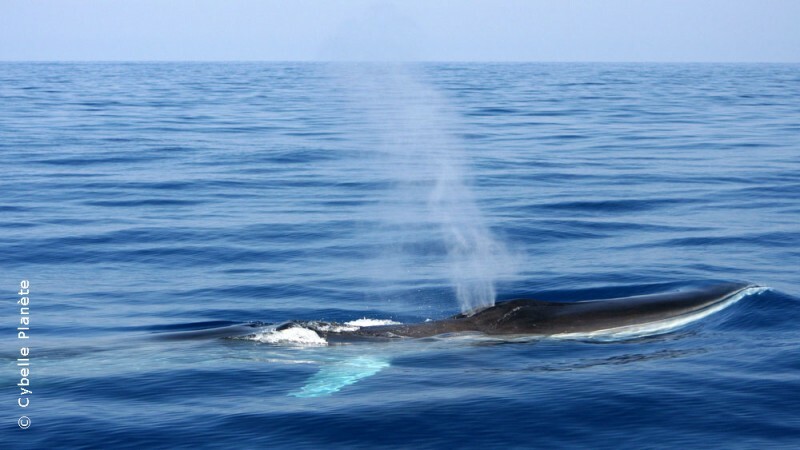 All data have been used in several studies and have contributed to highlight new strategies to better conservation of Mediterranean cetaceans. Data collected fully contribute to Cybelle Mediterranean program. 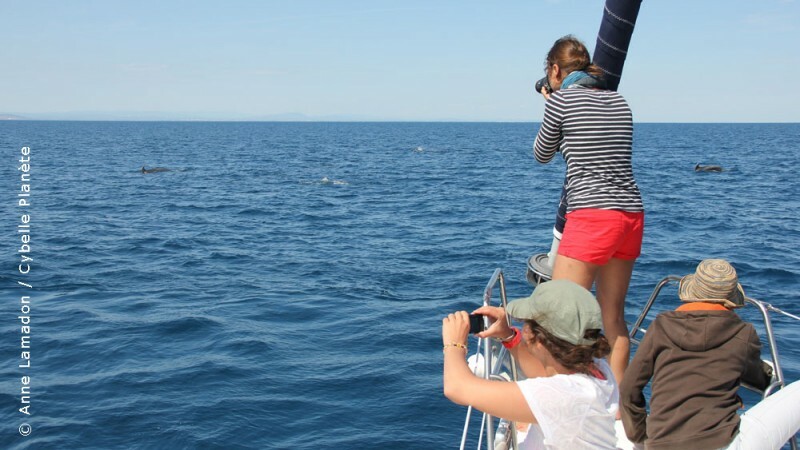 This program of participatory sciences, led by the association Cybelle Planète, is dedicated to the monitoring of animals living off the coast: cetaceans, turtles, rays and sharks, fish .... Cybelle Méditerranée gathers the observations of these species reported by the volunteer boaters, but also the ecovolunteers participating in one of our expeditions at sea. 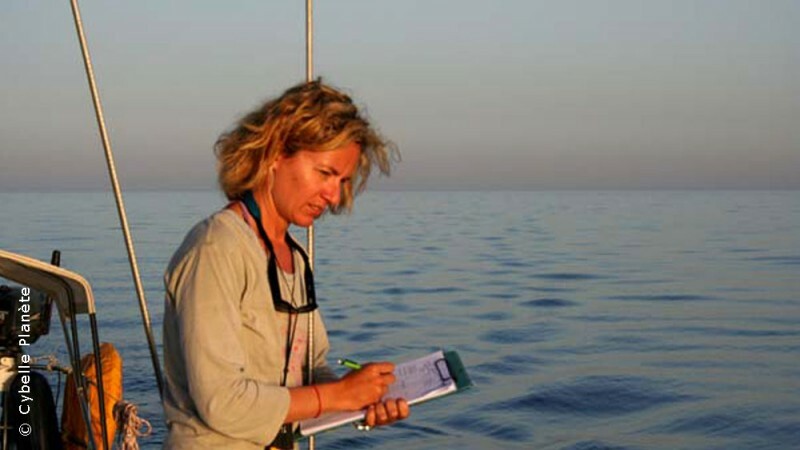 Still aiming at gathering and sharing knowledge, Cybelle Planète, administered and moderates the OBSenMER network on the Mediterranean Sea area and thus manages common tools for collecting and sharing information on marine fauna: mobile app OBSenMER, collective database .... Cybelle Méditerranée also provides ecoguides for the collection of expert-level data. 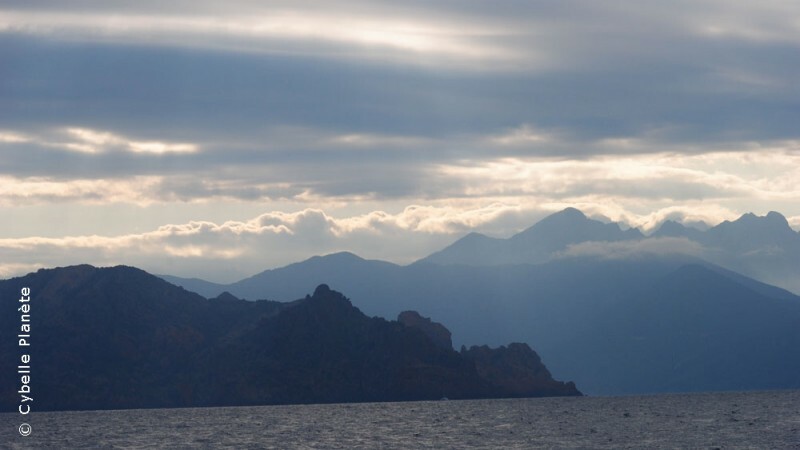 From June to September, the sailing boat sails north of the pelagos sanctuary, off the coast between the Var, the Côte d'Azur and Corsica; between the Ligurian Sea and the Gulf of Lion. Stopovers are planned for crew changes and refueling of the boat, every 7 days, in Hyères (Var). The Mediterranean Sea is a semi-enclosed sea. It represents 0,8% of the surface of the world ocean and to 8 9% of marine biodiversity in the world (in 10 12 000 species). 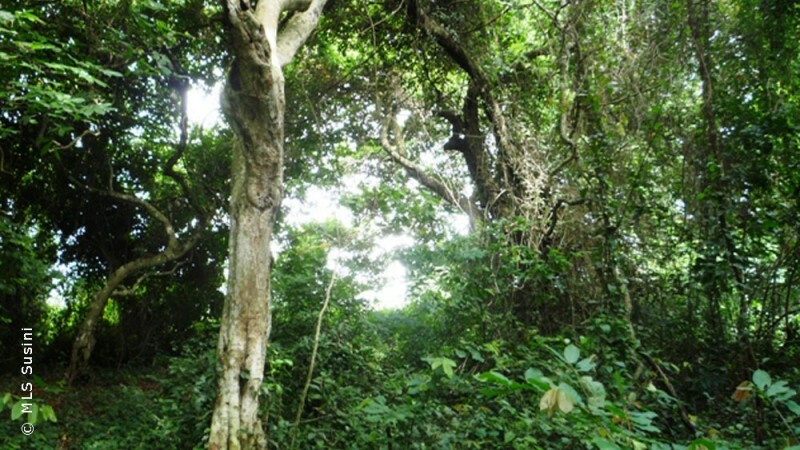 Thanks to its rich and unique biodiversity, is recognized among the hot spots of the most important biodiversity. The sailors are very diverse background, and give rise to specific enough water circulation patterns, favoring high concentrations of marine wildlife such as marine mammals and sea turtles that live or migrate through their waters. The Pelagos Sanctuary for Marine Mammals, Northeast of the Mediterranean. This area is very productive and rich in plankton, is much frequented by marine mammals. Its characteristics have led to the creation of a protected area. The marine sanctuary is an agreement signed in 1999 between Italy, France and Monaco. 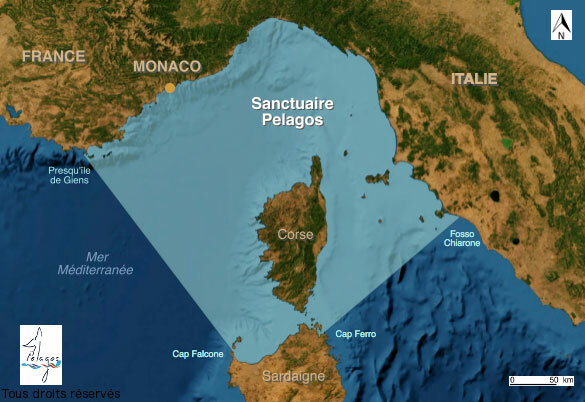 The protection zone of almost 90000 km² goes the Giens peninsula, south of Tuscany and northern Sardinia. The entire west coast of Corsica is part of the sanctuary. In this perimeter meet regularly to 2 3 000 25 000 whales and dolphins. The missions are also the opportunity to discover the coast and the islands of Hyères (Golden Islands), Porquerolles, Port Cros, or Le Levant, and the Lerins Islands to the East. 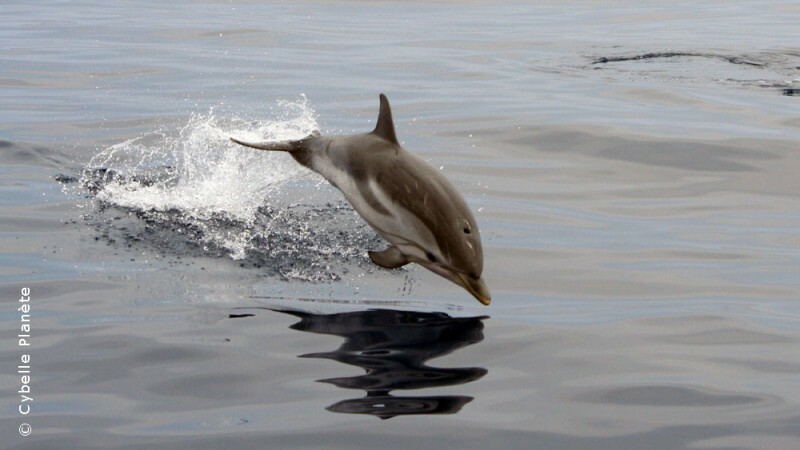 Grand Dauphin (Tursiops truncatus): The most familiar of cetaceans in the Mediterranean. These dolphins live in small groups of 2 15 to individuals in coastal waters. Species listed as 'vulnerable' in the Mediterranean on the red list of the IUCN. Mediterranean population is estimated to 10 000 individuals. 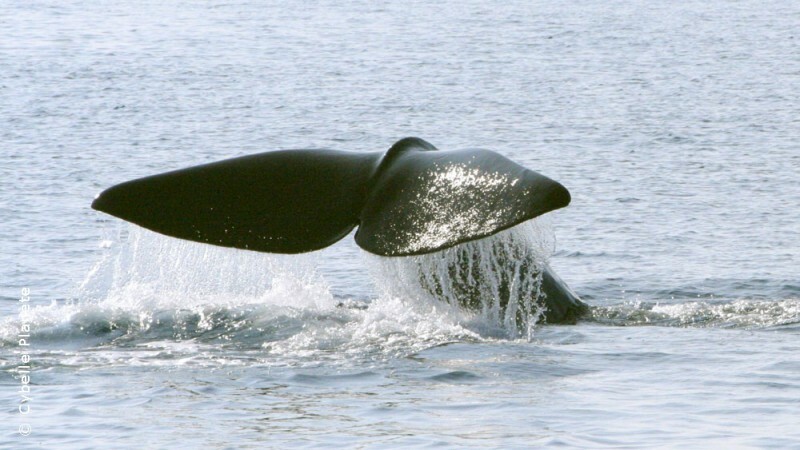 whale Common (Baleanoptera physalus): The second largest animal in the world (after the blue whale). They usually live in small groups, on the high seas in areas rich in plankton. Their distribution varies with the seasons, west and center of the Mediterranean Sea. Species listed as 'vulnerable' in the Mediterranean on the red list of the IUCN. Mediterranean population is estimated to 5 000 individuals. pilot whale (globicephala melas): Most friendly cetaceans, they live in groups of more than 10 50 individuals. 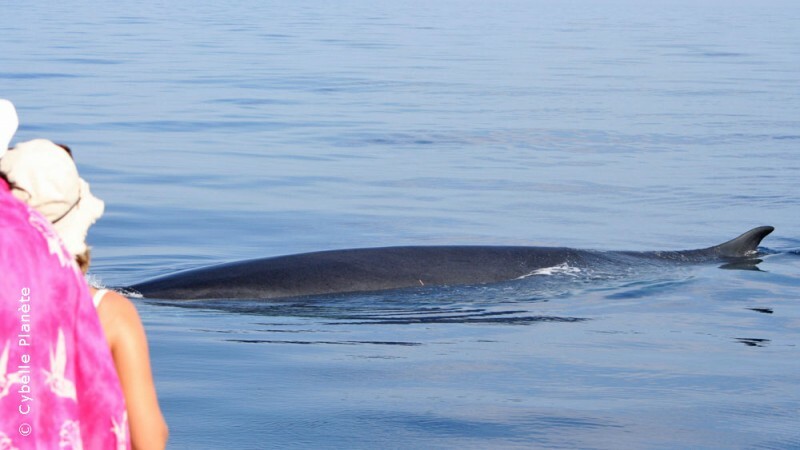 This whale is present mainly in the Western Mediterranean. Knowledge is insufficient to estimate the state of the population in the Mediterranean Sea. Risso (Grampus griseus): Widespread species that normally lives in deep waters, in small groups. The Risso's dolphin is widespread in the Mediterranean. Knowledge is insufficient to estimate the state of the population in the Mediterranean Sea. Sperm whale (Physeter macrocephalus) Species mainly present at the continental slopes or they can dive for over an hour in search of food. Sperm whales are distributed across Mediterranean. 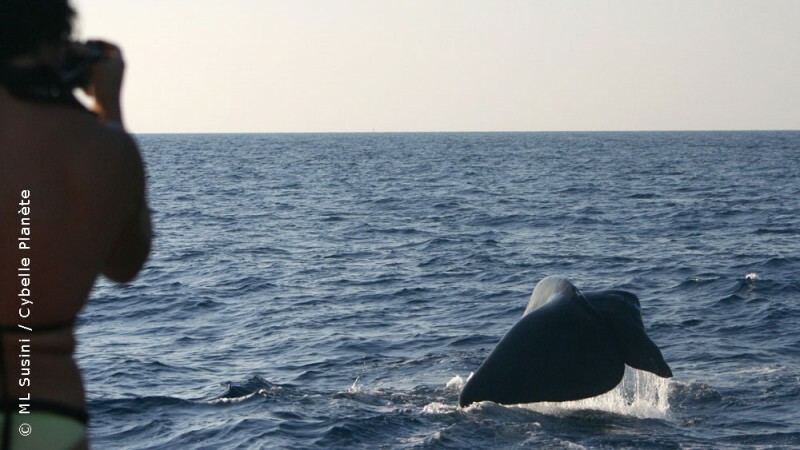 Despite the absence of reliable estimates of the size of its population, it is believed that the total number of sperm whales in the Mediterranean does not exceed a few hundred individuals. Species listed as 'vulnerable' in the Mediterranean on the red list of the IUCN. Dolphin Blue and White (Stenella coerueoalba): Very common species throughout the Mediterranean, the blue and white dolphin trip often in large groups and prefers open waters beyond the continental shelf because of their rich food. You can also find near the coast, where the water is relatively deep. Species listed as 'vulnerable' in the Mediterranean by the IUCN Red List. Three species of sea turtles are found in the Mediterranean. The Leatherback Turtle (Dermochelys coriacea) Is considered as a kind of way. The green turtle (Chelonia mydas) Et the loggerhead (Caretta caretta) Lay in the Mediterranean, mainly localized sites of Greece in the far east of the Mediterranean. These two species are classified as "Endangered" in the Mediterranean by the IUCN Red List. Le Sea DevilOr Mantis Mediterranean (Mobula mobular), Is present only in the Mediterranean (endemic). Species classified as "Endangered" in the Mediterranean by the IUCN Red List. Finally, you will have the opportunity to observe many other species: shark, swordfish, tunas, Pisces moon, many bird species (puffins, Oceanides ...), and numerous macro-plankton species ( jellyfish). computer input of data collected: Using OBSenMER application level EXPERT. Constant monitoring is provided on the deck, so as to obtain the most accurate information possible. In the day, and depending on demand, the eco-guide will give explanations about cetology and the marine environment. The ecoguide is responsible for photo-identification of cetaceans: primarily Risso's dolphin, bottlenose dolphin and black Pilot Whale, Sperm Whale and Common. Photographs of eco-volunteers are welcome and will contribute to the development of photo-identification catalog. The sailing time will be mainly devoted to the collection of information on the wide wildlife. Outside these times, you can swim in the sea or at anchor in the coves and islands (with the agreement of the crew). quarters of 3 people are planned throughout the week for observations, preparing meals and washing dishes. The project accepts interns. Applications will be accepted on a case by case, depending on availability and the candidate's profile. Mission costs are the same for eco-volunteers and trainees. Internship applications must be made to Cybelle PlanèteWe will help you in your efforts. to know how to swim at least 50 meters. It is important to take detailed documentation for download (see right of this text). You will need to return the medical fitness form (attached to the detailed documentation) completed and signed by you and your attending physician. You will also need to send us an email regulatory information about you (list provided after registration). Minors are accepted from 16 years accompanied by a parent. However this implies thatthey will participate in different tasks in the same way as the rest of the crew, irrespective of their accompanying parent. The crew members are not educators, and no special treatment will be made at participating youth, life on board is collective and constraints are the same for all. We therefore ask for his last show maturity and motivation to accept to live in an adult crew and to be considered as such. Any request for participation from a person under 18 years must be accompanied by a cover letter from him, written in French. For participants minors, parents must provide a disclaimer to Cybelle Planet. All assignments begin and end at the port of Hyères. The appointment to place the port in the morning of the first day to the boat. Once all the preparations (Fuelling racing, storage and organization ...), the skipper and the eco-guide will present the life and safety instructions as well as the scientific program. The departure, if weather conditions permit, held the same afternoon. The end of the mission held 7 days later, in the late morning after cleaning the boat. Persons involved two straight session: a 1 / 2 day "off" is provided between the two sessions. The eco-volunteers will sleep on board, however. General Navigation: coast, open sea and nights off if necessary. Possible stops in coves along the coast. One or more nights at sea are likely. Depending on the purpose of the day and weather conditions, navigation plans are not expected before the night. 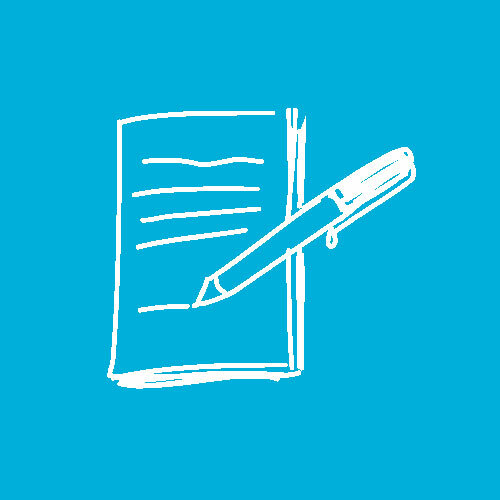 For more information on the course of the week and the observations you can consult logbooks missions from previous years. 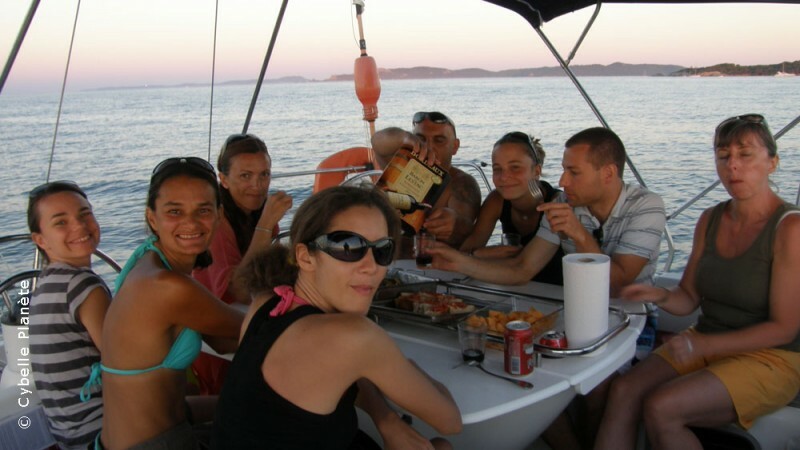 You are hosted on a boat that has all the equipment necessary for navigation in safe conditions. On board, 4 double cabins and a bathroom with toilet. 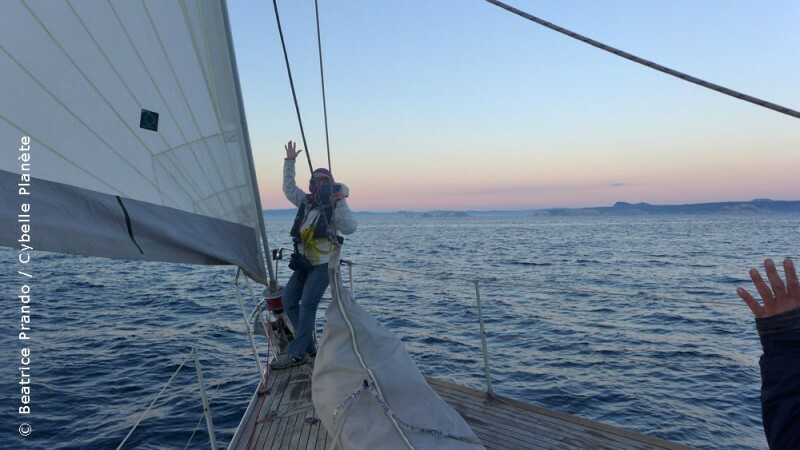 Accommodation on board the sailboat imposes certain constraints: the use of water (including showers) is restricted by sea, and you have to share your cabin with one or another ecovolunteer (preferably the same gender as you). Comfort is therefore limited and the important promiscuity. The fueling races are conducted on the first day or during a stopover. On a sailboat storage conditions are limited, especially for costs, and it is not possible to make a special menu for each passenger. Vegetarians, however, are welcome. 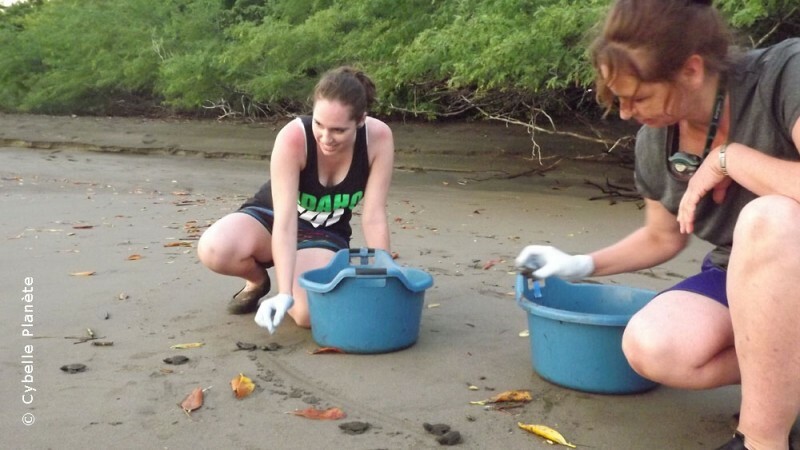 The number of eco-volunteers is limited to 7 week to allow everyone to actively participate in research projects and clearly identify the tasks entrusted. 15 / 06 / 2019 to 21 / 06 / 2019 1 remaining spot! XNUMX/XNUMX/XNUMX au XNUMX/XNUMX/XNUMX 1 remaining place! The meeting place is the first day 10h the port of Hyères. You must reach the port on your own. The crew phone number will be communicated in advance and you can call them the same day to know the exact location of the appointment. The last day of participation the mission ends in late morning. The crew will not offer accommodation on board before or after your mission. You will need to provide your accommodation. * The reduction of the Biodiversity Donation will be applied only if a receipt is received. tax deduction : For individuals, participation entitles you to a tax deduction of 66%. So a donation of 1400 € will only cost you 476 €. For companies, the participation of your employees entitles you to a tax deduction of 60%. So a donation of 1400 € will only cost you 560 €. your complementary travel insurance (mandatory), including a Cancellation, Air / Train Delay, Baggage, Interruption of Stay. You will find on our website information concerning visas. 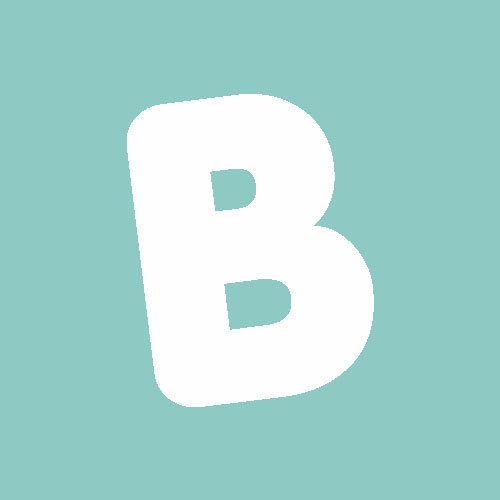 Cybelle Planet can arrange for you to book your airline ticketsThis service is optional. The general conditions of participation in eco-volunteering mission from Cybelle Planet are available online. Before committing yourself as a Volunteer, you must have read and accepted the charter of ecovolunteers. The Cybelle Planet associationcommitted to the ecovolunteering charter. We have always chosen sharing, equity and solidarity for all our actions. 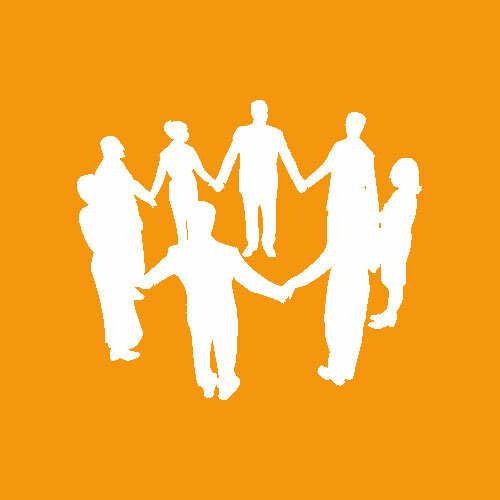 Participation in our eco-volunteering mission is reserved for our "support" members. Ecovolunteers pay Cybelle Planète a Biodiversity Donation in addition to their commitment in the field. Only the Biodiversity Gift and membership entitles you to a tax deduction (For companies or persons subject to corporation tax or income tax in France). Your registration can not be validated unless we have received your medical fitness form completed and signed by you and your attending physician. In order to avoid possible difficulties, we ask you to describe to us, as honestly as possible, your physical and emotional state. 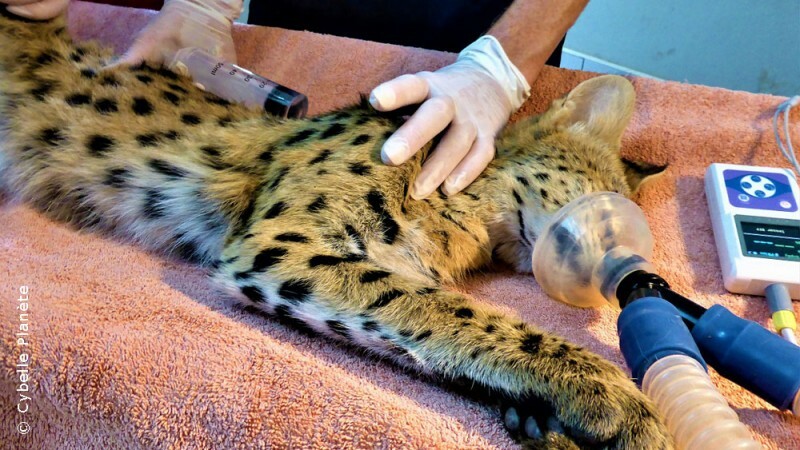 Regardless of the medical situation, all projects are designed to accept as many participants as possible. For this reason, they remain attentive and are very understanding of the various health problems a candidate may have. 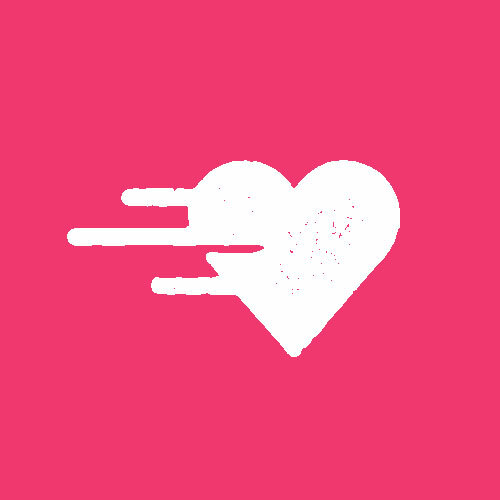 All solutions are considered to enable the candidate to participate in the project, regardless of his or her state of health, and to the extent possible. The consequences of misleading and / or omitted medical declarations can be very restrictive for the entire team involved in the mission, and in some cases dangerous (missions on the high seas, in very isolated sites, etc.). So, Any false declaration, omission or false information may be sanctioned by the immediate and definitive exclusion of the participant At its own expense and upon the exclusive and unilateral decision of the project. An ECOVOLONTAIRE T-shirt is offered for any registration to an ecovolunteer mission. Note that no resumption or exchange is possible, we invite you to consult the description and the size guide . The mission is to embark on a sailboat for a few days, far from the land and its daily life, in the company of unknown people and to know, ready to share the same experience. The objective is the cetacean census and the one we all have deep inside us is to spot the animals, not to miss one, to share the emotion of the meeting, to prepare good meals and all that can embellish the life on board. 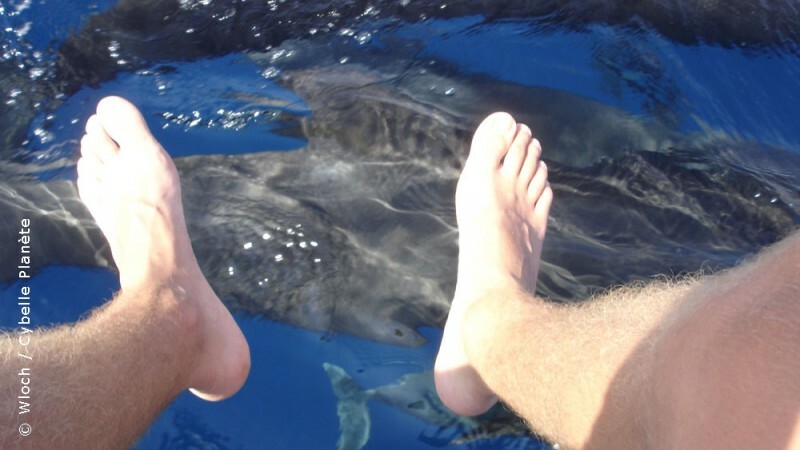 For lovers of the marine environment and fans of new encounters, it's really a great experience. My days were divided into several quarters. There were observation shifts, kitchen shifts, dish quarters, and finally, household quarters. During nights spent at sea, I also made night shifts: stay awake on deck to avoid collisions with other boats. The days lasted from 8h30 in the morning (about) until 18h (about) with quite a bit of time to rest. 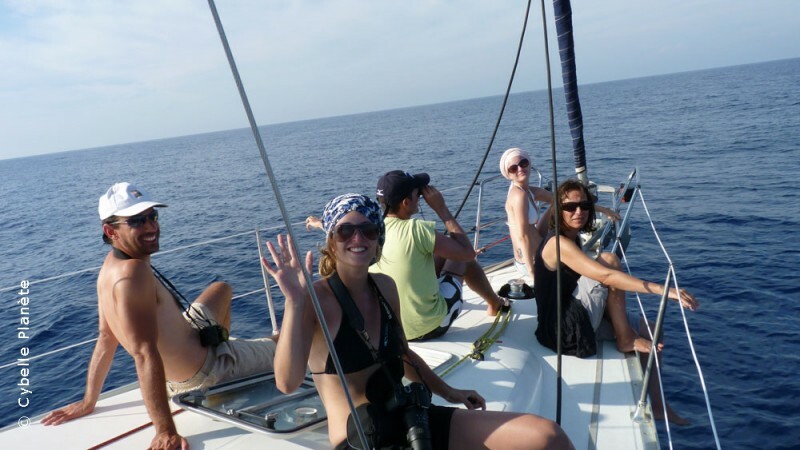 Our work as an ecovolunteer is to observe cetaceans and other marine species. The work is in the form of 2h quarters during which we scan the sea in order to record all our observations in the OBSenMER application. It will then be used by scientists studying marine fauna and their behavior, particularly in relation to human activity. The schedules of the day are very variable, it depends on the weather. But when all goes well, the days can start very early, 6h of the morning for the first quarters. We stop at 18h with a break at noon. But all this varies, of course, if the animals are there, we quickly forget his plate !! And there are also night shifts when you stay at sea. But can we talk about schedules and work when we are there to observe the animals in their natural environment?